Earn $0.87 in Rewards credit (87 points) What's This? Save up to 10% more. An ideal option for your high performance ride. The Race Light Road Tube shaves a few grams off the weight of Continental's standard Race tube, but offers more durability than the featherweight Race Supersonic. Available in 700c and 650c diameters with various Presta valve lengths. Average weights: 76 grams (700c), 68 grams (650c). Note: These tubes feature removable valve cores. 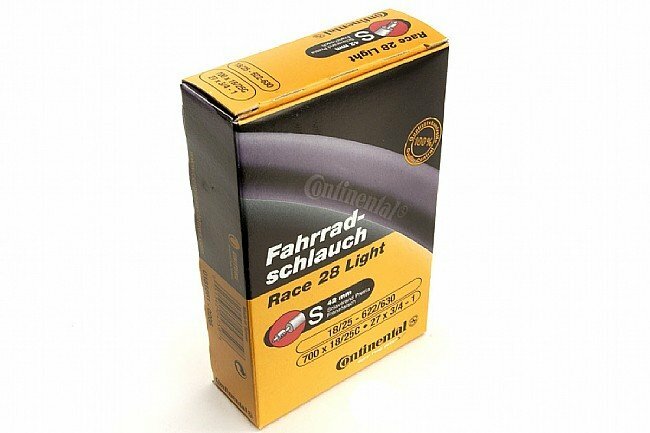 Safe choice among the lighter inner tubes. Works great as a spare or main tire. I like using latex tubes for racings but these are my go-to spare because they are a bit more durable and can withstand some knocking about in the saddlebag or jersey pocket. Excellent tubes, very light, a little expensive. Excellent tubes, very light, a little expensive. Will keep looking for a cheaper vendor. Do not waste your time or money on the Continental Race Light Road Tube. I bought these tubes to use in my first triathlon. They arrived the day before the race. I installed them, but one of the tubes would not hold air. I discovered a tiny hole in that brand new tube. I left the other tube installed, but the next morning I noticed the tire was flat. After removal, I found a 1 inch long split in the rubber. Fortunately, there was enough time to install standard weight Kenda tubes prior to my race. I e-mailed Western Bike Works (WBW) the next day to notify them of the faulty tubes. They gave me a prompt refund of the cost of the tubes, so kudos to WBW. Excellent customer service! A quality light-weight tube. Does what it should. Not stupid expensive. The only potential negatives to me are the price and the box size. The Vittoria tube is very similar, cheaper, and comes in a small enough package to fit in your jersey pocket. Need this tube if you have light rim and light tires. I use this tube along with a set of Continental 4000S tire and Mavic Elite rims to make a nice light weight set up with out breaking the bank. Paired these tubes with 700x23mm Conti 4000s tires, the combination is mounted on HED Ardennes FR clinchers and I'm a happy man. Great ride, good road feel, finishing the rides feeling fresh and so far No flats! I would recommend this set up to a friend. Does the job holds pressure nicely and never hurts to loose grams from rotating mass. Have 2 spare as well, recommend. After ordering these tubes I did lots of reading about how lightweight race tubes are horribly unreliable & require daily inflation. Nothing could be more untrue about these contis I got them as a set with Ultra Sport II Folding tires & I ride every day. The rim has bottoms out sometimes twice a day, and I dread a pinch flat each time it happens, but so far the tubes have held up lovely. I've begun stocking up on tubes & conti tires bc I think they have the best product & reputation in the sector. Great tube for the money, no issues with it. I use this tube on an old Softride Firestorm converted to a trailroad bike on Spinergy rims. Lots of gravel and road debri. No issues so far. This tube is nice middle weight folds up neatly doesn't weight much & isn't fragile when putting in when standing on the side of the road wishing you could hurry up and not be standing on the side of the road go ride!! A good quailty light race tube. 68 of 71 customers found this review helpful. 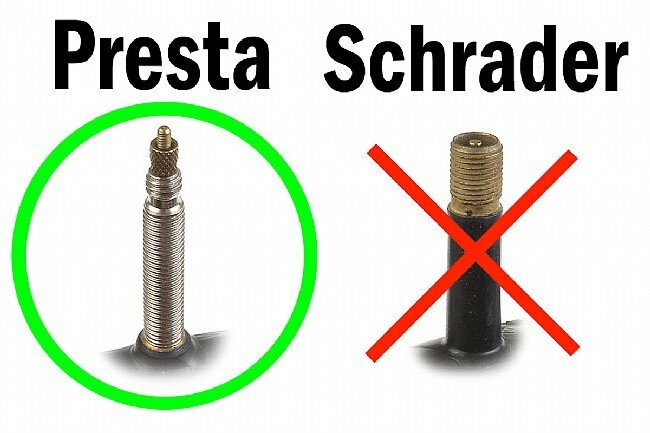 Use these tubes in a racing or training application. They have a great feel, and conti makes their tubes without seams which makes patching a breeze. I ordered the 60mm stem and they are ideal with the Roval CLX 50s! Been using this tube for years mostly with Vittoria Rubino Pro's with a fairly high PSI (110-120). I get pretty good milage out of these on my road bike, commuter bike, and track bike.